Born in 1510 was the only child of Sir Edward Stanhope and his wife Elizabeth Bourchier. Through her mother, Anne was a descendant of Thomas of Woodstock, the youngest son of King Edward III of England and Philippa of Hainault. Anne Stanhope met Edward Seymour (not yet the queen’s brother) around 1529, after the downfall of his first marriage to Katherine Fillol. Anne and Edward married in 1535. Edward Seymour was a social climber – surely his new wife had the rank and knew how to convince people of what they both wanted, and deserved. It appears that Anne (Stanhope) Seymour may have served many, if not all, of Henry VIII’s queens. She would have been young to serve Katherine of Aragon, but many served at about eleven years old – so not unheard of. Information on the ladies who served Anne Boleyn was mostly destroyed, so we do not know for certain. We do know that she served her sister-in-law, Jane Seymour, and after Jane’s death she was recorded as being at the reception of Anne of Cleves. She also served as a lady-in-waiting to both Katherine Howard and Katherine Parr. Anne knew her way around court and understood how court politics worked. After the death of King Henry VIII, Anne’s husband, Edward Seymour became Lord Protector to the young King Edward VI – this is when things really went south between Anne and her former mistress, the Dowager Queen Katherine Parr. It seems to have started when Katherine Parr married Anne’s brother-in-law, Thomas Seymour. It appears that Anne grew jealous of the match since Katherine was a Dowager Queen and Thomas would increase his political pull with the marriage as uncle to the King. The jealousy stems from the fact that Anne believed, as the wife of the Lord Protector, to be the most powerful woman in England – however, a Dowager Queen would indeed take precedence over her – this would not please Anne. She urged her husband Edward Seymour (Lord Protector) to punish the couple for their boldness. Anne was an intolerable woman, with huge pride, and one who had much influence over her weaker husband with her words. She would not be outranked by a woman like Katherine Parr, and would do everything in her power to outshine and outrank the former queen. Antonio de Guaras, a Spanish merchant living in London, would later say of her, that she was “more presumptuous than Lucifer“. Once King Edward VI acknowledged the marriage between Thomas and Katherine, Katherine felt that she could once again enjoy the privileges of queenship as she did prior to remarrying. This included her former jewels. The ones she wore as queen. Since Edward VI had not yet married, those jewels should rightfully still be in her possession. However, Anne Seymour would not have it. Anne believed that those jewels belonged to her, as the wife of the most powerful man in England (behind the King). 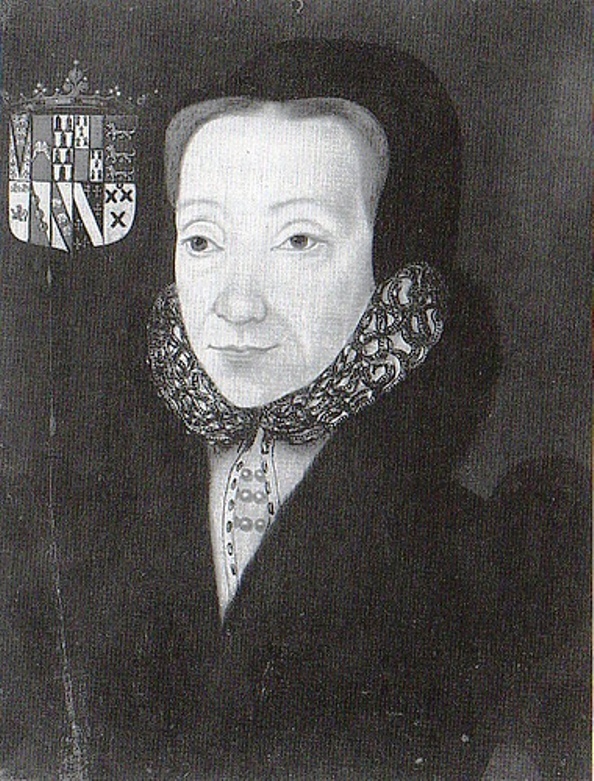 Thomas Seymour complained to the council that Anne Seymour was causing trouble regarding the jewels being returned to his wife. By Thomas calling Anne out by name he only fueled the fire between the two women. When it comes down to it Anne was still jealous that Katherine took precedence over her in the kingdom – to Anne it was all about social standing and power. She wanted to be the most powerful woman in the country and would do whatever it took to stay there. My lord your brother hath this afternoon made me a little warm! It was fortunate we were so much distant, for I suppose else I should have bitten him! What cause have they to fear, having such a wife? It is requisite for them to pray continually for a short despatch of that hell. Tomorrow, or else upon Saturday, I will see the King, when I intend to utter all my choler to my lord your brother, if you shall not give me advice to the contrary. It appears that Thomas advised Katherine against approaching the King with the matter – or she thought better of it. After the letter from Edward Seymour Katherine refused to return to court. In 1548, Anne and Edward Seymour had another son – this one was also named Edward, after the King. 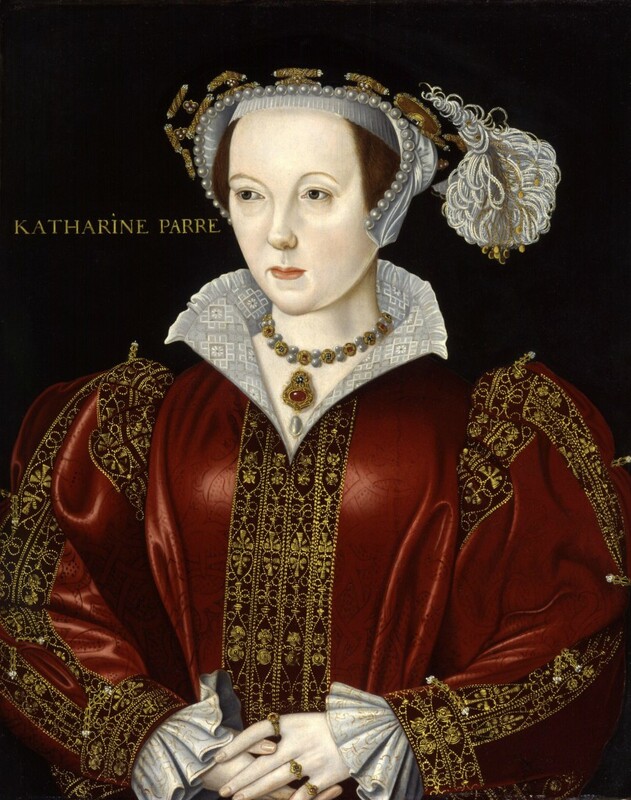 When Katherine Parr gave birth not long after to a daughter (Mary), Anne was delighted that Katherine did not have a son – where Anne succeeded, Katherine had failed. Always a competition. When Katherine Parr died from child bed fever, Anne told Thomas Seymour that any grudge that was shown in the past was only between herself and Katherine – and with Katherine’s death all would be as it was before he married the Dowager Queen. 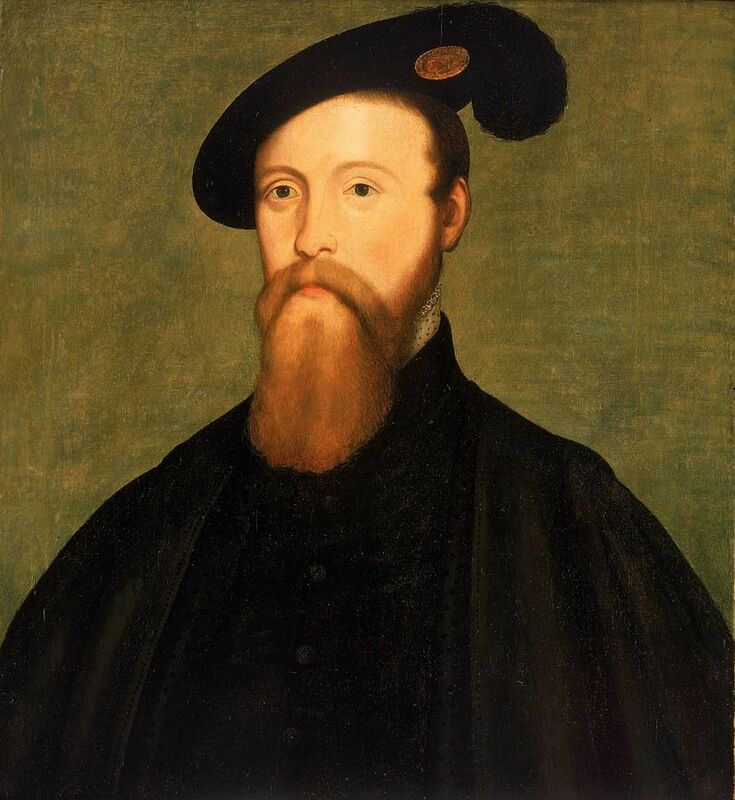 In 1549, Thomas Seymour was executed for high treason. This left his daughter Mary an orphan at only seven months old. The child was taken in by Katherine Parr’s friend, the Duchess of Suffolk, along with twelve other orphans at her house at Grimsthorpe. Mary’s uncle, Lord Northhampton hinted that he would be open to caring for the child if Anne Seymour paid him the allowance that both she and her husband had promised. The stingy Anne would not give the money and in return all the burden fell on the Duchess of Suffolk. The Queen’s child hath lain, and doth lie, at my house, with her company about her, wholly at my charge. I have written to my Lady Somerset at large; there may be some pension allotted to her, according to my lord’s Grace’s promise. Now, good Cecil, help at a pinch all that you may help. In the Fall of 1549 Edward Seymour fell from grace. If Anne had intended to provide the money for the young Mary she would now no longer be able to do so – she and her husband were now disgraced and not in the position to help. In 1552 Edward was accused of High Treason and a few months later Parliament passed an Act that restored to Mary all her father’s land and property – this ended the Duchess of Suffolk’s financial needs. This is the last documentation of Mary Seymour – it is assumed that she died in childhood. 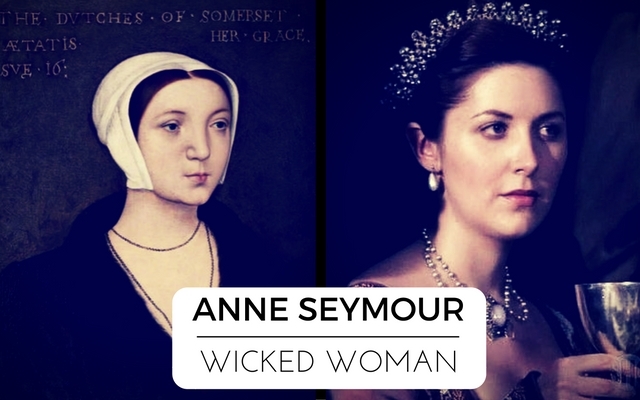 It’s fair to say that this article is very one-sided – Anne has been painted as a wicked woman by many writers and historians. There are some who claim Anne as a victim of her husband – that she was made out to be the ‘evil’ one because of her husband’s decisions. While that is possible, I believe that it’s more possible that she actually was the woman we have all learned about – because not all people are nice, and it’s possible that Anne was a wicked woman. How interesting if those four had found a common ground and gotten along. No Northumberland taking over and putting poor Jane on the throne. If they had unified and welcomed Mary (yes, both Catherine and Thomas were dead before then but they might not have been if only the brothers could get over themselves) to the throne but still presented a strong Protestant presence with acceptance to both faiths who knows how things would have progressed? My take is sibling rivalry between the boys. I don’t think either woman cared about the jewels or who was able to walk before whom. Is she depicted in the Tudors series? I remember a scene in which Edward Seymour’s wife slept with his brother, Thomas. She IS depicted in the series. I’m confident that she never slept Thomas Seymour – that was one of those historical liberties that they took while making the series. Maybe it was a combination of Edward’s first wife Katherine Fillol and Ann. It is a typical move when a show covers history to combine characters, and the show didn’t really go into the rift between Edward and his father, so they may have rolled it into the character relationship arch between the brothers. I do not like it when they do that, combine characters because Catherine Faliol was her own person and the Lady Anne Stanhope was her own character and I believe both women were good women and I do not believe Sir John Seymour slept with Catherine Faloil, nor do I believe that the Lady Anne Stanhope is a bad woman. I think that she was a good woman. She lived a long, long life. After Sir Edward Seymour was excuted, she remarried and lived until ninety. Whatever happened between her and Katherine Parr happened and we do not need to worry about it. It does not make the Lady Anne Stanhope bad. In the Tudors series she was depicted as having a affair with Thomas Seymour and naming a baby boy Thomas, suggesting that the child was Thomas’s but in the article above none of her children were named Thomas. Though highly entertaining the Tudors series was so inaccurate. I love The Tudors on Showtime as well. What I think they were trying to do (as usual) was combine stories for drama. 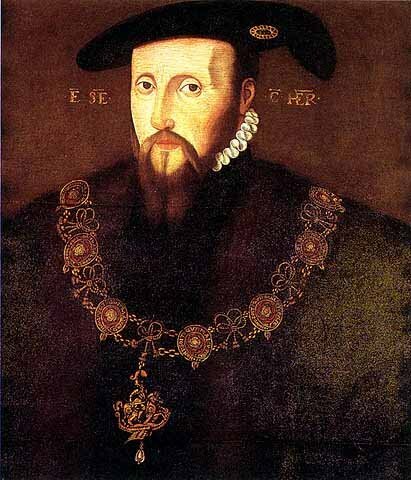 If you’ve read my post, “Edward Seymour: Father or Brother?” you’d see that Edward was married once before to Katherine Fillol, and the story goes that she had an affair (possibly with his father)… she gave birth to two sons during their marriage. Edward did not know if they were his sons and ultimately left his wife and sent her to a nunnery. I believe that is what they touching base on in the TV series.